There is no secret that India is a powerhouse at the Miss World Pageant as it has five Miss World, second only to Venezuela’s six Miss World Crown. As the 64th edition of Miss World begins in London, the birthplace of the Miss World Pageant, here is a brief report of India at Miss World Pageant. Eve’s Weekly Magazine was the first Franchise holder of Miss World preliminaries in India. They had the franchise from 1959 -1966. Bhartiya Sundari was the second Franchise owner of Miss World preliminaries in India. They sent Indian delegates from 1968-1970 & in the year 1972 & 1975. Femina Miss India sent its first contestant to Miss World in 1971 &74 and from 1976 to date Times group has sent Indian delegates to Miss World. India first participated at Miss World in the year 1959, Fleur Ezekiel won the eve’s weekly Miss India 1959 crown & became India’s first representative to Miss World Pageant. India’s first placement at Miss World came in the year 1962 when Ferial Karim entered the top 20 of Miss World Pageant. Reita Faria a medical student from Bombay (now Mumbai) became the first Indian & Asian women to win the crown of Miss World in 1966. Reita also won the best body award & best in evening wear she wore a saree. Ashwariya Rai won the crown of Miss World 1994 in Sun city South Africa. She also won Miss Photogenic. India hosted Miss World 1996. Where Greece’s Irene Skliva won the crown. Daina Hayden won Miss World 1997. She also won Miss Photogenic & best in Swimwear. 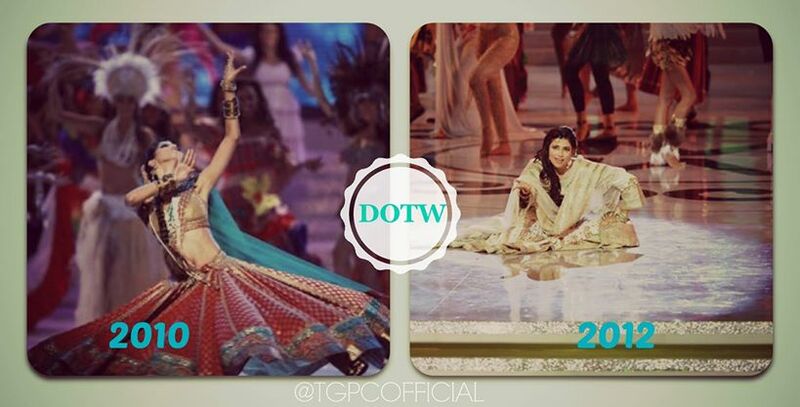 In 2000 India got a Back to Back victory at Miss World with courtesy of Yukta Mookhey & Priyanaka Chopra . 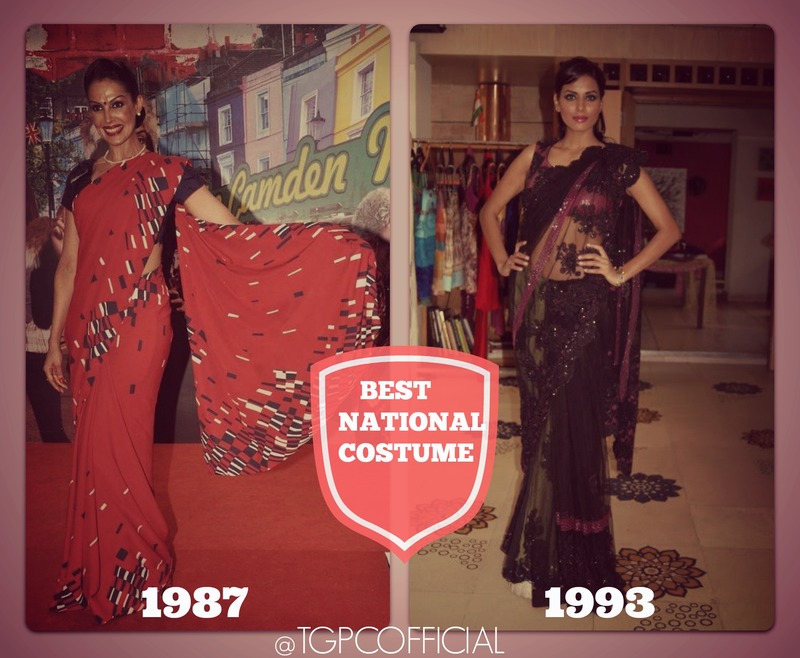 Manisha Kohli Miss India 1987 & Karminder Kaur-Virk Miss India 1993 won best National Costume at Miss World. India has won Beauty with a Purpose two times Pooja Choopra 2009 & Vanya Mishra in 2012. Vanya Mishra Femina Miss India World 2012 is the only Miss World contestant to have won two fast track events Multi Media & Beauty with a Purpose. It was back 2 back for India as Navneet Kaur Dhillon Femina Miss India World 2013 also won Multimedia award at Miss World 2013. India has 6 Continental Queen of Asia & Pacific crown i.e. 1994,1996,1997,1999,2000,2008. Femina Miss India World 2010, Manasvi Mamgai was the first Indian to perform at dances of the world after 2 years Vanya Mishra got the chance to perform & Now This year Koyal Rana will be the third Indian to perform on Miss World stage .